Dieser Beitrag wurde unter Cloud Computing, Computer Science, Linux, Mobile Communication and Computing, Personal, PhD, Polar Research, ZHAW abgelegt am Januar 31, 2012 von tmb. The framework of choice is OpenStack, which apparently enjoys significant industry and academic support and has reached good levels of maturity. The lab will support pre-productive usage scenarios on top of OpenStack services as well as experimental research on OpenStack technology and potential extensions. A simplified and logical representation of the lab is shown in the figure. The lab is equipped with 15 computing units, each running on 8×2.4 Ghz Cores, 64GB RAM and 4x1TB local storage per unit. 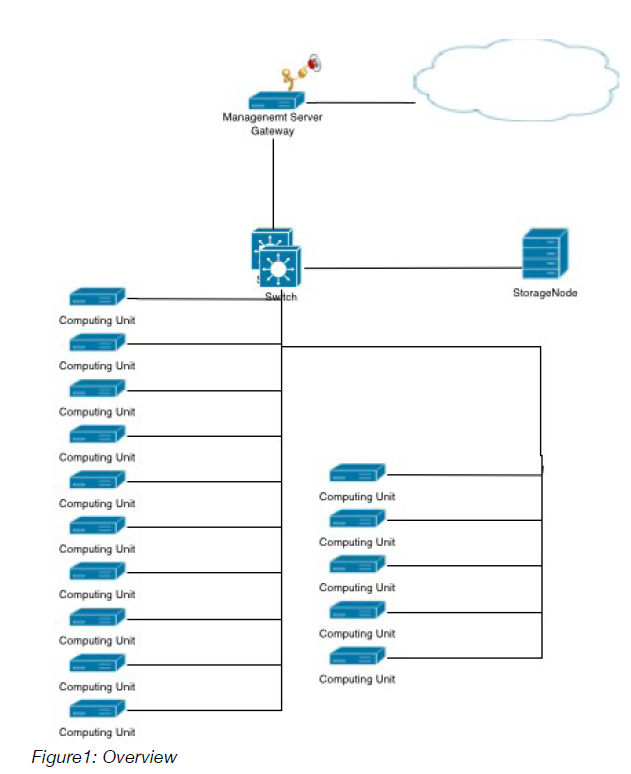 To store templates and other data there is a 12TB NFS or iSCSI Storage which is connected to the switch with a 10Gbit Ethernet interface. The Computing Units are connected to a 1Gbit network for data and another 1Gbit net for control traffic. different OpenStack instances (productive, experimental, etc). The Management Server provides a DHCP, PXE and NFS Server and some pre-configured processes which allow a computing unit to copy a master image into its RAM an run it from there. This provides a great deal of flexibility and support for different usage scenarios. 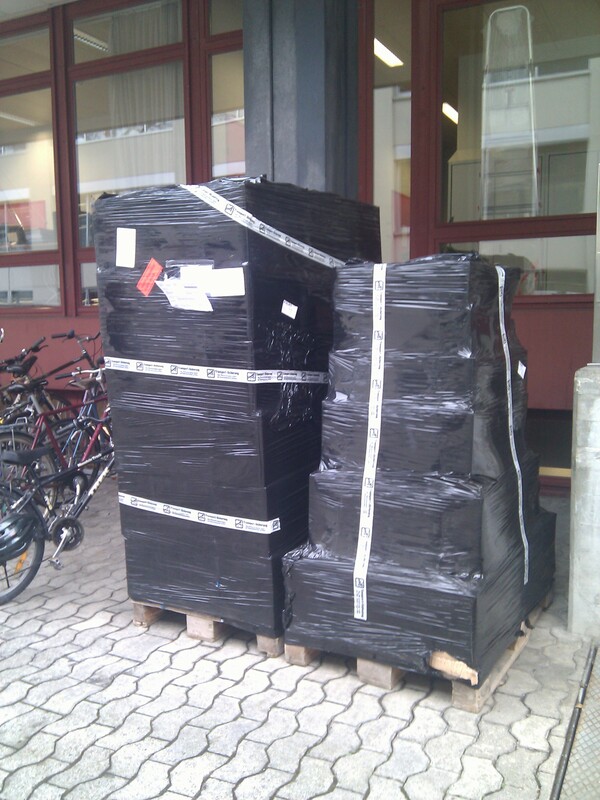 Not yet; we are working on it; the hardware arrived. Stay tuned. Dieser Beitrag wurde unter Cloud Computing, Computer Science, ZHAW abgelegt am Januar 25, 2012 von tmb. Hot topic to watch (see my earlier blog post on MCC). Today the Internet Web Service is the main way we access any kind of information from fixed or mobile terminals. Some of the information is stored in the Internet Cloud, where computing, communication, and storage services are main services provided for Internet users. In a non-distant future many of our queries will be beyond current Internet scope and will be about the people, the physical environments that surround us, and virtual environments that we will be involved. Having witnessed the phenomenal burst of research in cloud computing, Mobile Cloud Computing (MCC) is to extend cloud computing functions, services and results to the world of future mobile applications. MCC will address issues that current Internet Clouds or Mobile Computing Technologies alone cannot effectively or efficiently address. The MCC workshop is intended to bring together researchers, developers, and practitioners in current mobile computing and cloud computing from academia, industry, and service providers, to share ideas, experiences, and practical implementations related to new MCC technologies and applications. Both position and working-in-progress papers are encouraged. Workshop participants will discuss emerging and future trends in research and application that integrate the cloud computing paradigm into mobile devices, mobile applications, security and privacy, and mobile services, evaluating the impact of mobile applications on cloud computing techniques. To that end, papers are solicited from all MCC related areas involving the interactions or integrations of mobile techniques and cloud computing solutions, including, but not limited to the following topics. Dieser Beitrag wurde am Januar 20, 2012 von tmb in Cloud Computing, Computer Science, Future Internet veröffentlicht. Schlagworte: Mobile Cloud Computing, Science.